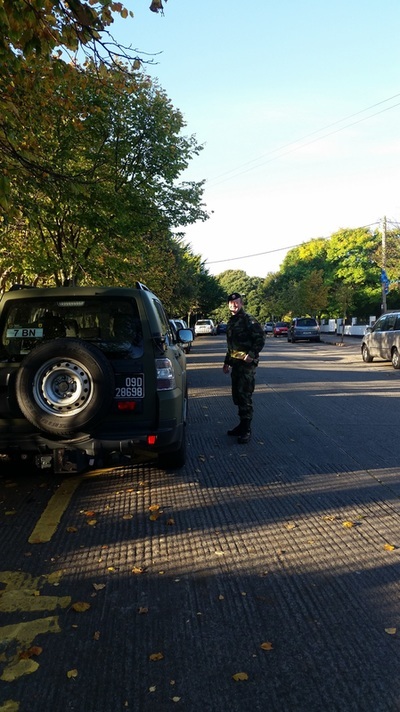 On Monday 12th October 2015 we were delighted to welcome two members of the Defence Forces to Naíscoil Íde. 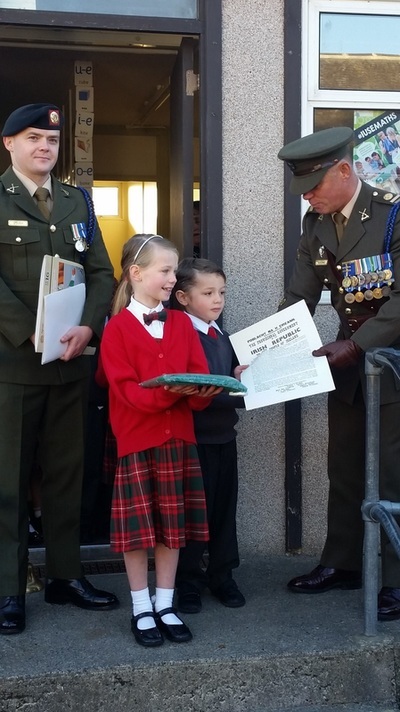 They presented the school with an Irish flag and a copy of the 1916 ‘Proclamation of the Irish Republic’ during a special ceremony to mark the 100th anniversary of the 1916 Rising. 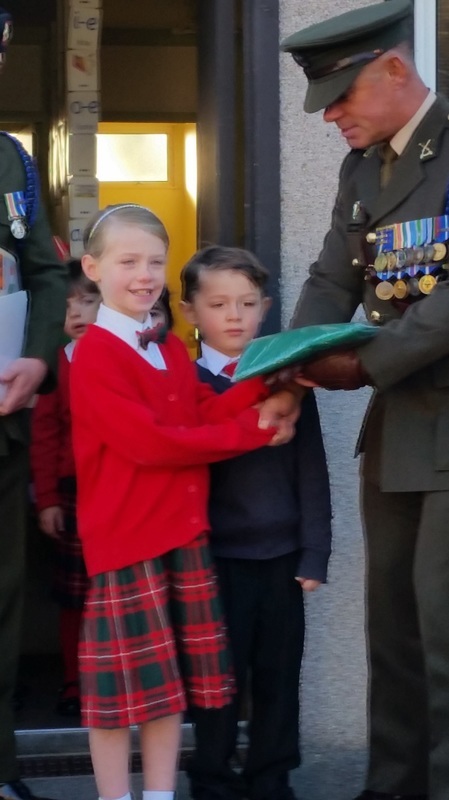 At the end of the ceremony the First Classes sang the National Anthem. A recording of their fantastic performance can be viewed below.